Doing the research for this quaint town of ancient Aryavarta has been such a surprising journey. At the outset, the name came across striking an intrigue and then multiple modern locations of today staked their claim to fame to be the modern avatar of the mythological Ek-Chakra-Nagri. However, after much research and logical eliminations, I have gone ahead with the most plausible one. Ek-Chakra-Nagri finds its first mention in the Mahabharata as a small township on the banks of the Yamuna in the Doab region, where the Pandava brothers and their mother Kunti arrive, shortly after escaping the near-fatal lakshagriha episode. It is in this village that the Pandavas come to know about the King of the region holding a grand swayamvara ceremony for his daughter, at his capital Kampilya. From the description and classification of kingdoms in Aryavarta during the Mahabharata times, Kampilya was the capital of the South Panchala kingdom, ruled over by King Drupad, someone well known to the Pandava brothers for reasons not so pleasant. His daughter for whom the swayamvara was being organised was the most beautiful princess Panchali (a.k.a Draupadi). The Pandavas were dressed as wandering Brahmins and that is how they acquainted with the Brahmins of Ek-Chakra-Nagri, who very excitedly told them about the magnificent ceremony and the swayamvara scheduled in Kampilya. The ensuing legend is quite well known to all, where the Pandava brothers reached the swayamvara in the guise of Brahmins along with the group of the Ek-Chakra-Nagri Brahmins, who had merely come in the hope of obtaining some worthy gifts and benefits completely unaware of their accompanying guests, and how Arjuna then wins the hand of Panchali by display of his excellent archery skills. Apart from being famous for guiding the Pandavas to Draupadi’s swayamvara, Ek-Chakra-Nagri is also well known in Mahabharata for yet another important reason. It is the place where Bhima had slayed the cannibal-demon Bakasur and saved the village folk from his oppression. As the centuries passed and time moved into the later Vedic periods, the town of Ek-Chakra-Nagri remained insignificant and the only major activity that occurred in the area was brick building. Gradually, the name Ek-Chakra-Nagri was lost with disuse and gave way to a new name: ‘Etawah’, which was derived from the existence of many brick kilns in the area. We still know this city as ‘Etawah’, however it is quite a flourishing town in Uttar Pradesh today. With the fall of Delhi and Kannauj in 1193, the two major power centres of Hindustan at that time, at the hands of Sultan Sihabuddin Muhammad Ghori, Etawah too was involved in the initial skirmishes between the independent Hindu kings and the invading Muslim armies under Ghori and Qutbuddin Aibak. Finally, along with most of the other Hindu kingdoms which passed on to the hands of the Turkic Muslim rulers, by 1215, Etawah too was annexed by the Muslim powers under Iltutmish. The next few centuries saw immense conflicts between the Muslim rulers of Hindustan with the Suris, Lodhis and Shahs fighting for supremacy over the territories. Then came the Mughals and Etawah fell in the path of Babur and later Humayun as they tried to advance deeper into the Ganga-Yamuna doab region. Humayun is said to have killed Qutb Khan, the ruler of Etawah at that time and annexed the place. The city saw many battles and scars, forts built, captured destroyed and rebuilt, and even the Marathas from the west had also claimed rule at Etawah for couple of occasions after defeating the Afghan armies of Ahmed Shah Durrani and their allies. In 1774, Etawah was made a part of the Province of Awadh, ruled over by Shuja-ud-daula, the Nawab of Oudh. However, in 1801, the reigning Nawab, Saadat Ali Khan ceded Etawah and the neighbouring areas to the British and the city was yet again passed from one era of rulers to another. We find the next significant mention of Etawah in history during the 1857 Mutiny against the British Raj. Following the outbreak of the Mutiny in the sepoy ranks at Meerut on 11th May, the news spread like wildfire and soon many battalions and regiments stationed in different centres across North India joined the rebellion against their English masters. As Gwalior, Agra, Delhi, Jhansi, Farukhhabad and other nearby centres blew up in rebellion, Etawah was also embroiled in the fire of mutiny against the British. However, as by December of that year, most of the rebellion bursts had being quelled, in Etawah too, the mutineers were squashed and executed by the British armies and the city recaptured by them without much effort. Post-independence, Etawah has returned to be a quiet and peaceful city with the promise of growth and development. Contrary to many ancient cities of India, Etawah may just have had a singular shot at its mythological grandeur, but the subsequent history of the city has not been any less fascinating to learn about. I am participating in the #BlogchatterA2Z challenge and today’s letter is ‘E’. Fascinating piece, as usual, Sayan. First time hearing about Etawah, though I know it's prehistoric existence. Thank you Varad.. good to see your comments ! Know about Etawah, but read about Ek Chakra Nagri and it's association with Mahabharata for the first time. Thanks for an informative post, Sayan! Thank you Shilpa.. glad that you liked my post! I read your E post today and have left my comments. This is such a surprise Sayan! I have been in UP for many years and have crossed Etawah multiple times but never knew about this! Wow Series, I am loving it! Somehow in my school days I found both History and Geography very uninteresting - blame it on the syllabus or the method of teaching.. But later as I started reading and exploring I actually enjoyed it... I didnt know about Etawah ...Really interesting read..
Hi Sabeeka.. thanks for visiting my blog and reading my posts. I am happy that I am able to do a bit better than the syllabus in evincing some interest! If you like what you read here, please do come back for more as we travel till Z ! I knew the story about how Arjuna attended the swayamwar and married draupadi but came to know the name ek chakra nagari only today. Enjoyed reading. Hi Sushma.. thanks for your comments and I am happy that you liked reading the post and that it could add some new information to you..
Oh! So Etawah was Ek-Chakra and was the place where Draupadi's swayamvar took place! I love the way you are tracing names you know. And all this historical details reminds me of the time when my father used to put me to sleep by telling tales from the Ramayana and Mahabharata. Thank you Jai for your appreciation for my posts and I am glad that you are reading them with so much interest, and bringing back your childhood memories. 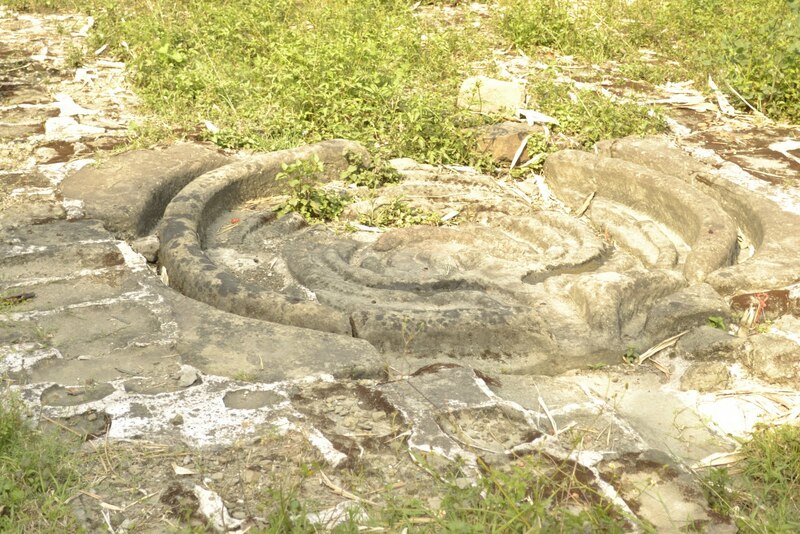 Draupadi's swayamvar happened at Kampilya, the capital of the Panchala kingdom; Ek-Chakra-Nagri was the place where the Pandavas came to know about the swayamvar event from the local Brahmins. Ek-Chakra-Nagri was also located in the Panchala kingdom, not far from the capital Kampilya..